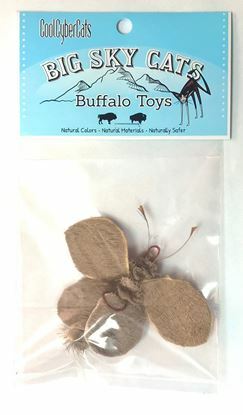 This attachment is made with Deer Hair (UK Roe and/or Montana/Wyoming Mule Deer - we use 2 sources for the hides) and North American Buffalo (the bison are from ranches in Montana, Wyoming and Idaho)! 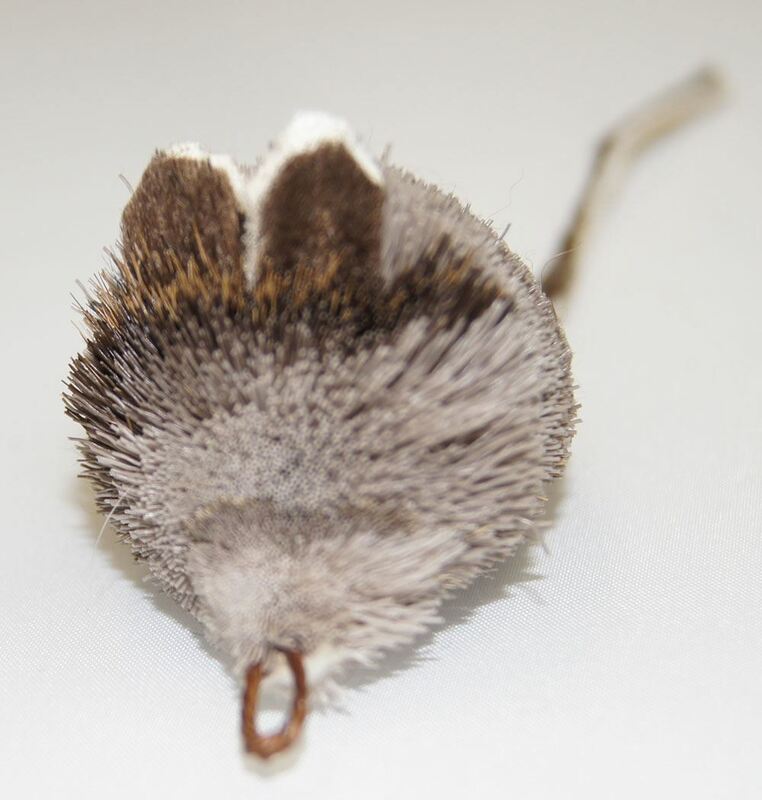 The Mouse has ears made of Buffalo leather and wrap into the core, so do not come off with a simple tug! Regular play sessions using these attachments are great outlets for instinctual hunting behaviors and encourages exercise that help keep your cats healthy and alert. Rod/Baton/Pole/Wand is not included with these attachments. We recommend the Big Sky Cats Wildcat Wand. Since the hair and leather are a natural material, colors vary from images. Size also varies. As with any product please supervise your pet's use of these toys. Inspect products often for signs of damage, rips or tears and remove the toys if damaged.